Malima works a science and mathematics teacher at Nsumba Secondary School in Mwanza. 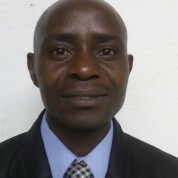 A regional leader of the Mathematical Association of Tanzania and a National Mathematics Facilitator, he has initiated changes to the curriculum and has been running seminars to improve the quality of teaching in his fields. Malima has been spreading project-based learning that links maths lessons to students’ experiences in their everyday life. He has introduced a regional maths contest and set up a fund to award scholarships to the winners. He is also in charge of student clubs on regional level to encourage more students and especially girls to study maths and science, and has created a company to offer educational consultation to parents, students and other educators.